Anthony Zellerbach was born in 1832 in Bavaria. Along the way . . . In 1846, at the age of fourteen, Anthony Zellerbach came to America. He lived in Philadelphia for a while. In 1856, he headed West to San Francisco for a short while, and then moved to Moor’s Flat, Nevada County. There, Anthony Zellerbach opened a bank. Anthony Zellerbach later moved back to San Francisco, where he began working in the paper wholesale and retail business. 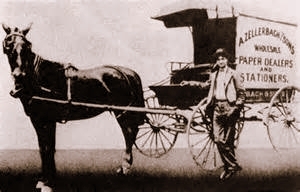 In 1882, Anthony and his son, Jacob Zellerbach, founded the Zellerbach Paper Company. Another son, Isadore, later joined them in the firm and the name was changed to A. Zellerbach & Sons. By 1886, the business had grown so large as to require even larger quarters. Yet another son, Henry Zellerbach, joined the firm in 1896. In 1907, the firm’s name was changed back to Zellerbach Paper Company. 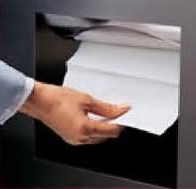 The unique products created by the Zellerback Company included folded paper towels that exposed a clean paper towel once one was withdrawn, the window envelope, and the cardboard egg carton. 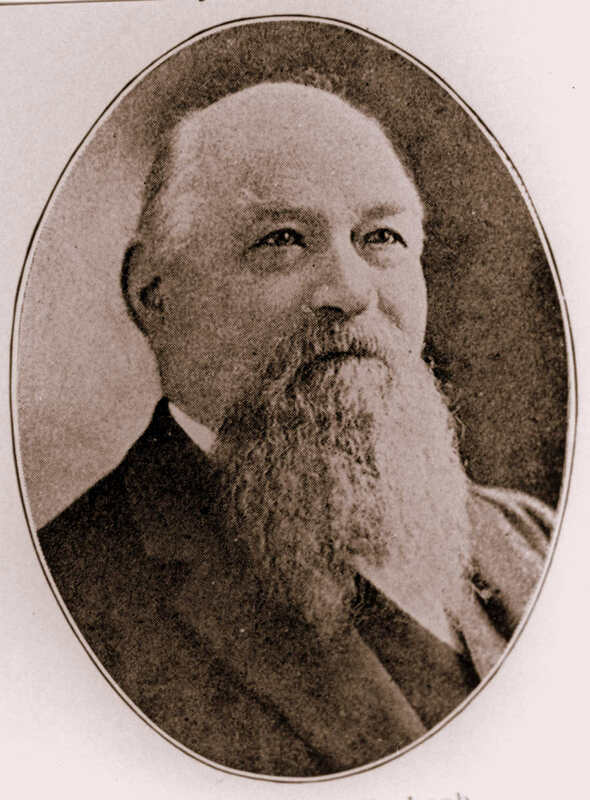 Isadore Zellerbach took over leadership of the company upon his father’s death in 1911. By the early 1920’s, there were Zellerbach warehouses all over the country, as-well-as Zellerbach paper mills and factories. In 1928, Isadore merged the family company with Crown Willamette Paper Company, creating a new firm: Crown Zellerbach Corporation. 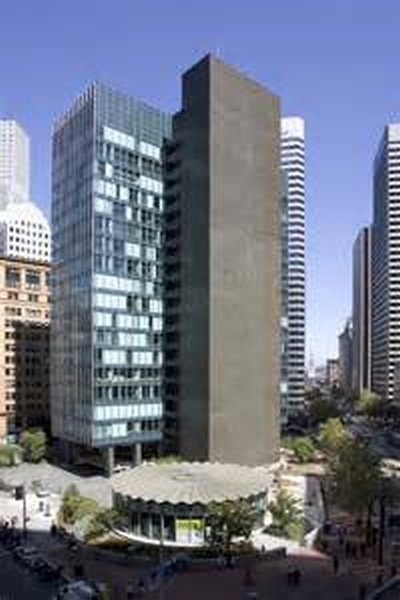 The Crown-Zellerbach Building is a San Francisco landmark, located at 1 Bush St. and 523 Market St. In 2000, Crown-Zellerbach Corporation became a part of Georgia-Pacific. Today, Crown-Zellerbach Corporation/Georgia-Pacific is part of Koch Industries. Anthony Zellerbach married Theresa Mohr in 1863. They had 9 children: Jacob (b.1865), Isadore (1866-1941), Henry Haight (b.1869), Edward (b.1870), Eugene (b.1875), Lily (b.1882), Bella (Mrs. Charles Cross), Hazel (Mrs. Platt), and Arthur (b.1888). Anthony Zellerbach died in 1911. In 1956, Jennie B. Zellerbach, wife of Isidore Zellerbach, founded the Zellerbach Family Fund. She regularly contributed to the fund until her 1965 death. At that time, the fund changed to the Zellerbach Family Foundation, which supports constructive social change and community building projects in San Francisco. Charles A. Murdock, “The Beginnings of the Zellerbach Paper Company,” Western States Jewish History 19/3. Martin A. Meyer, The Jews of San Francisco (San Francisco: Emanu-El, 1916). Samantha Silver is curator of this Anthony Zellerbach exhibit. Among California women inventors who have received favorable mention of late is Mrs. M. J. Sahlein who has invented a box cover so fastened to the box that it cannot go astray when in the hands of nervous clerks. Mrs. Sahlein is a clever little lady who deserves much credit for her exhibition of ingenuity. —The Jewish Progress, San Francisco, March 1, 1895, Vol. 19, #4. The inventor and her husband, Moses J. Sahlein, operated the Bon Ton Millinery shop at 133 Kearny, San Francisco, and they lived at 415 Divisadero.